Cleveland is a beautiful city full of diverse architecture and even shares a coast with Lake Erie! Check out these four cool Cleveland cottages! Cleveland, Ohio is a beautiful city built right on the edge of Lake Erie. There are many different districts, including the Financial District and the Cleveland Theater District. Within the Cleveland Theater District is the second largest performing arts center in the country—the Playhouse Square Center. Needless to say, there is an abundance of things to do in Cleveland! And don’t forget about the cuisine—food from all of the world has found its way to Cleveland. If you’re not sold yet, check out these four Cleveland cottages that are currently for sale! Black trim against the shite lap siding gives this cottage fresh modern curb appeal. Via Zillow. The newly remodeled kitchen has all new appliances. 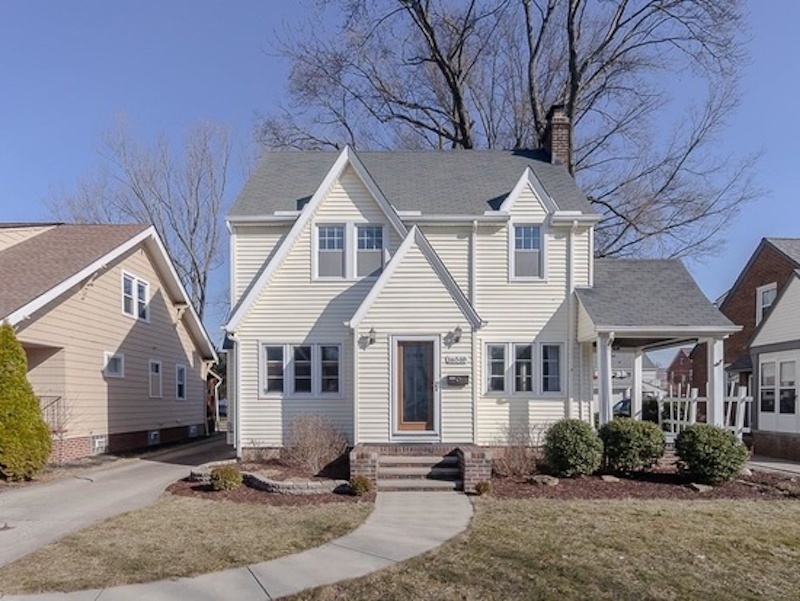 This beautiful Cape Cod home has three bedrooms, two bathrooms and been newly remodeled. It boasts hardwood floors, soft-close cabinets, and brand new appliances. The neutral white of all the rooms makes this home a perfect blank canvas for whatever you want to make it into! The West Park neighborhood includes Kamm’s corners—a fun and historic shopping district. This Cleveland cottage boasts farmhouse appeal. Via Zillow. 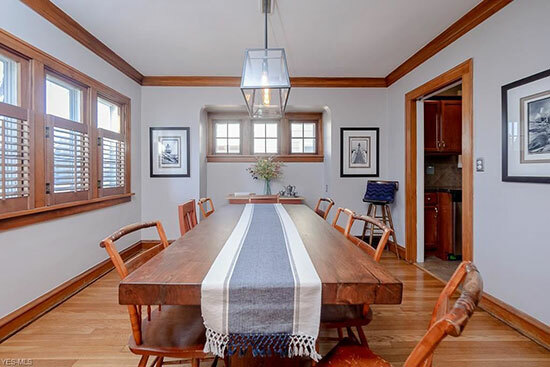 The original casement windows lend this dining room craftsman cottage charm. Via Zillow. This quaint single-family home was built in 1929. It has three bedrooms and two bathrooms. The dining room has a beautiful wooden table and an industrial-looking chandelier. 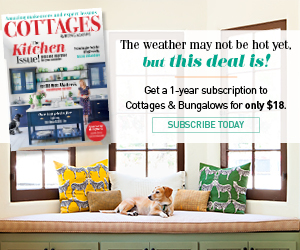 It may look a bit out-dated, but just a few quick coats of paint on walls or even cabinets will have this home looking like a modern cottage in no time. This beautiful brick cottage look boasts with a charming red front door. Via Zillow. 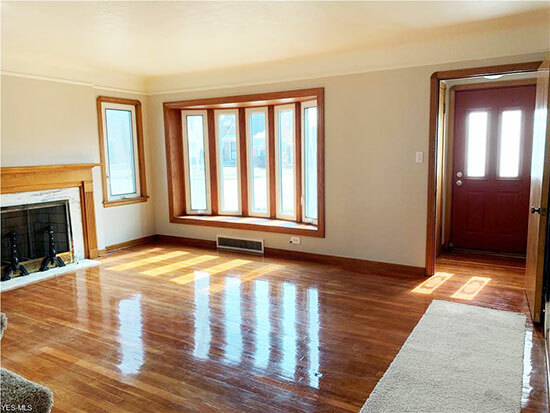 This newly refurbished home with three bedrooms and two bathrooms has beautiful hardwood floors throughout much of the house. 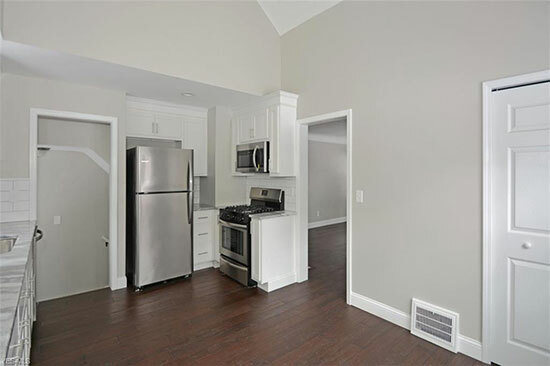 The kitchen has soft-close cabinets and new appliances. There are two fireplaces, including a floor-to-ceiling stone fireplace in the living room. The finished basement is ready to become a rec room, a craft room, or whatever else you want. There’s also an attached two-car garage and a patio to sit and watch the sunset in the summers. The Lee-Harvard neighborhood is a great place full of activities, such as a shopping plaza, public library, and plenty of parks. 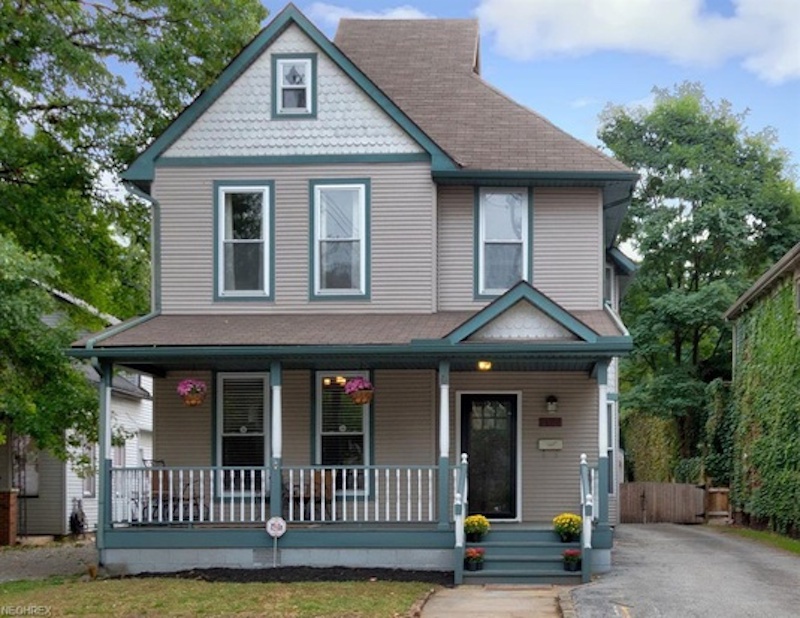 This colonial cottage has a beautiful front porch, great for hanging out on in the summer. 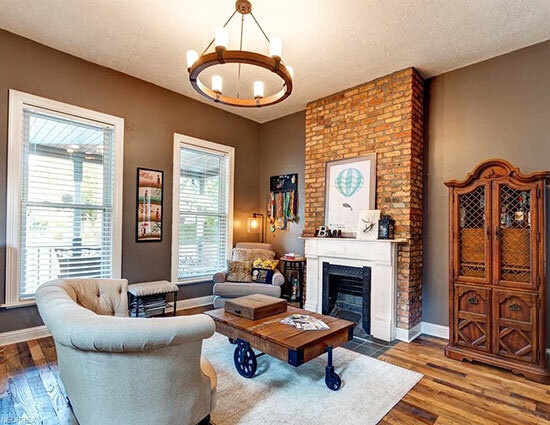 A beautiful brick fireplace and high ceilings make this a real gem. 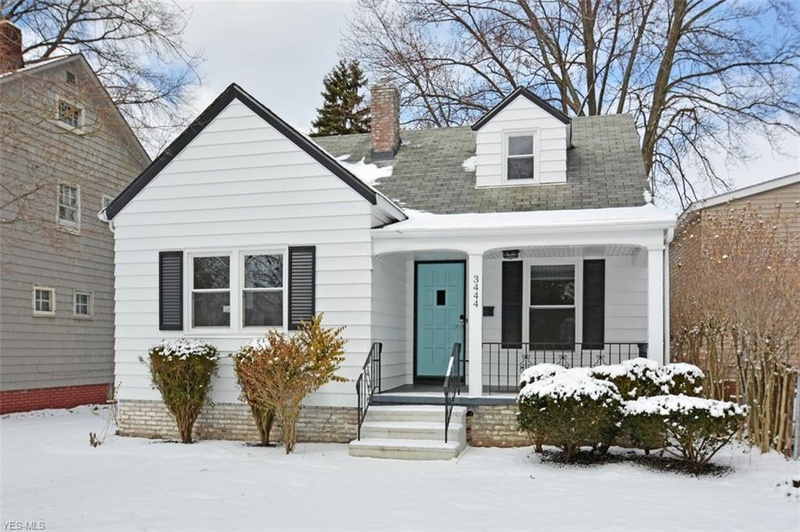 This quaint colonial cottage in the Detroit Shoreway neighborhood is just beautiful! It has four bedrooms and two bathrooms. The entire home is newly refurbished, including all new kitchen appliances. Each room has a beautiful cottage style and, even though the home has been remodeled, it keeps its colonial charm. It is located in Detroit Shoreway, a neighborhood right on Lake Erie with plenty of shopping centers and restaurants. 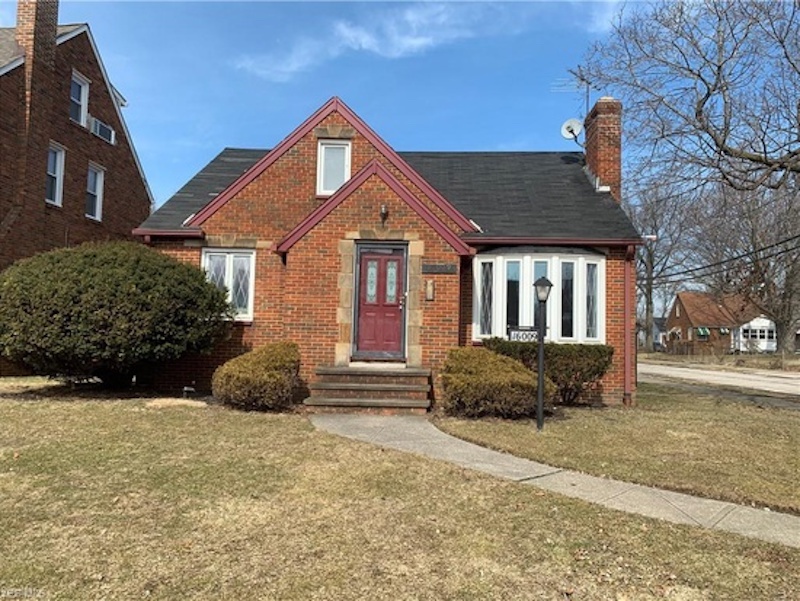 This home is right in the center of Detroit Shoreway, and is close to everything, including entertainment and the downtown area. 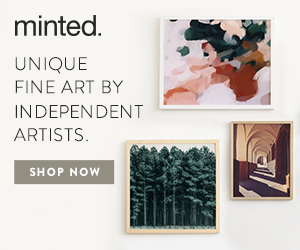 There are more photos than we can share, but they are all a must see. To check out more cottages for sale around the country, check out these articles about listings in San Diego and Atlanta!